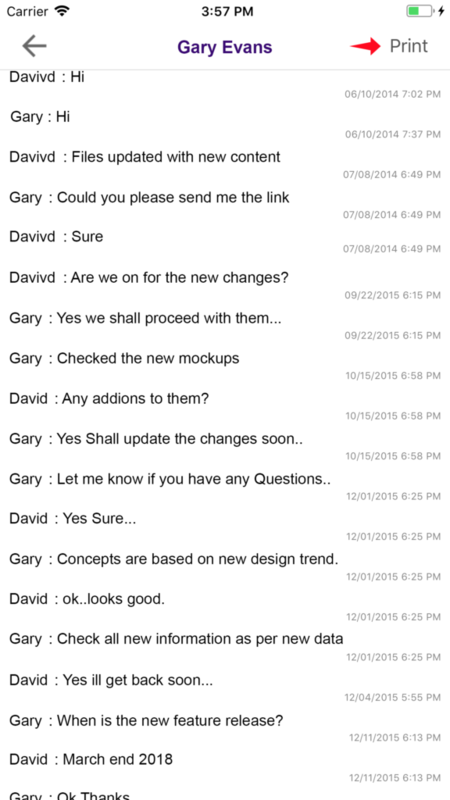 We are pleased to announce the release of Office Chat version 2.10 which goes live on Feb 9th.. This release would include the following enhancements & bug fixes. 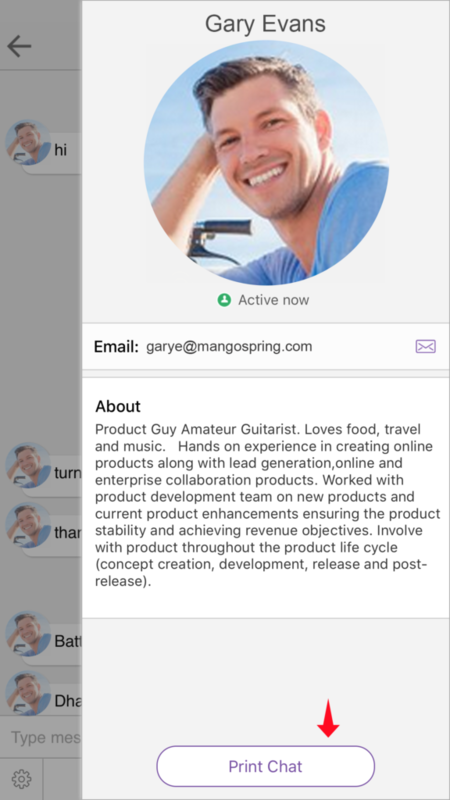 Share what’re working on with custom status: Show co-workers what you’re up to and your availability with custom status messages. 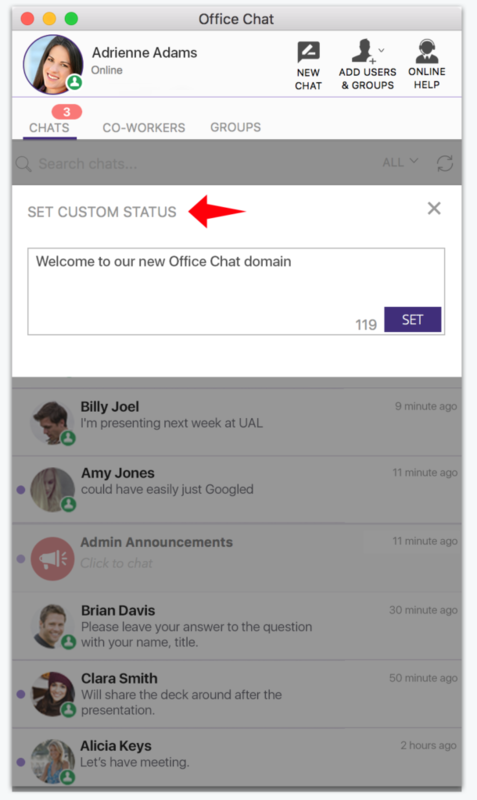 Recently used 5 custom status messages are remembered by the app so that they can be re-used again later. Ability to print chat messages (iOS only): Printing of chat history from iOS client has been added. 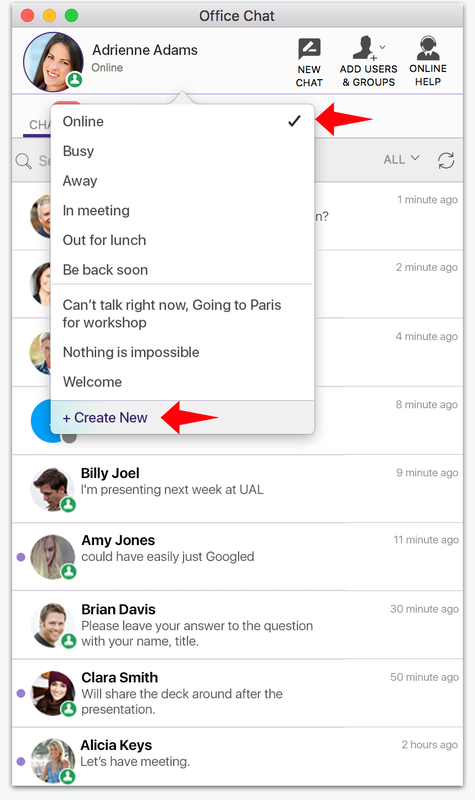 All chat messages in the chat window can now be printed to any AirPrint enabled wireless printer on the network. 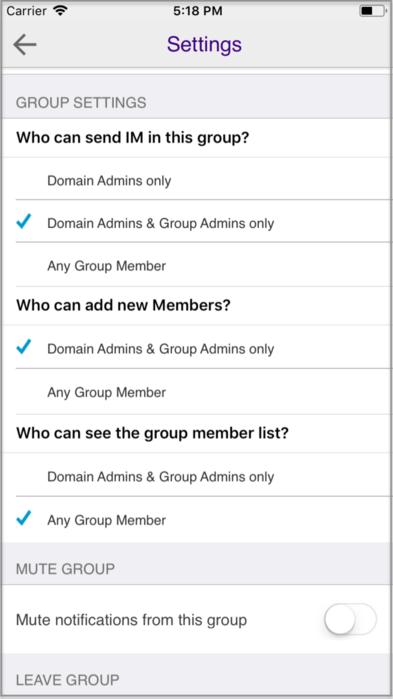 All group settings now available to group admins on mobile: All group settings that are on windows/mac clients are now available on both iOS & Android apps so group admins can make changes on the go. Improved UI for actions on a chat message (Android Only): The actions bar on “long press” of a chat message has been improved and moved up in the header area to make it easy to use for all types of chat messages. Ability to look up users using full names on mobile: Lookup of users using the full name was broken because of the space b/w first name & last name. This has been fixed to enable the look ahead to work on user names with spaces. Message getting erased on mobile: While typing if you accidentally hit one of the options like record audio, the menu pops up and that erases whatever was typed in the chat box. This issue has been fixed to not wipe out the typed out message. Forward action on video message on mobile (android only): Ability to forward a video chat message was broken. This has been fixed with the new UI design of actions bar moving to the top.